JBG Smith’s RTC West project is slowly welcoming new restaurants like Nando’s Peri-Peri, honegrow and Mezeh. But more is coming at the site, including nearly 1.4 million square feet of new development, up to 575 multifamily units in two buildings and three new office buildings. 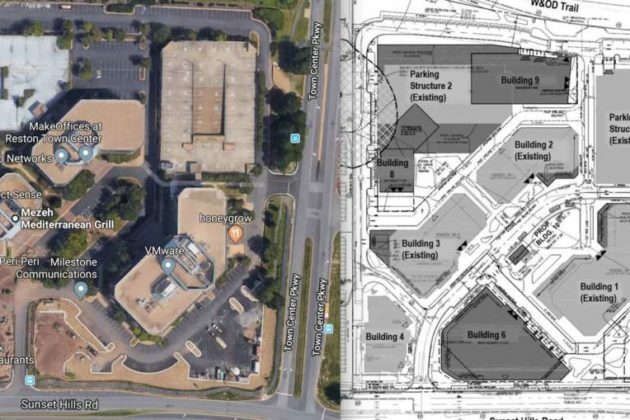 The Fairfax County Planning Commission will consider the proposal, which transforms the the office park north of Sunset Hills Road and West of Town Center Parkway, on Thursday (July 26). So far, the project is anchored by three existing six-story office buildings and two parking garages, as well as ground floor retail options. 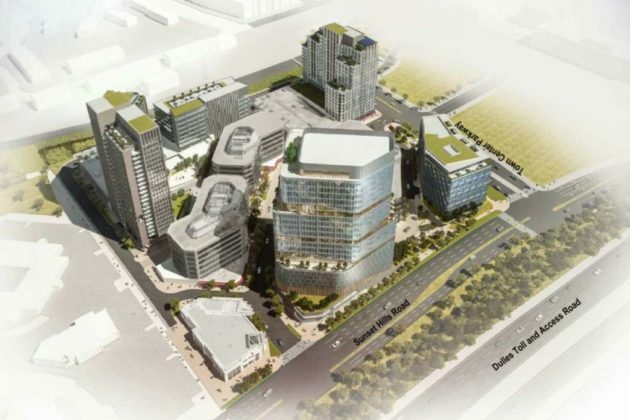 If approved by the county, the project would have two new residential buildings, an additional 700,000 square feet of office space across three new buildings, two parking garages, a retail-only building and 3.4 acres of open space across nearly 13.4 acres. County staff recommended approving the project.